Depriving herself of everyday comforts for months, struggling to conquer the mountain top, but she believes those things make us more humane and better people. 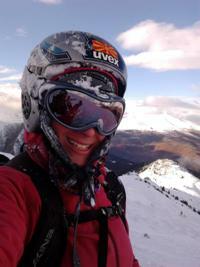 She is an alpinist and a visual artist that draws inspiration, perspective and composition from her experiences. 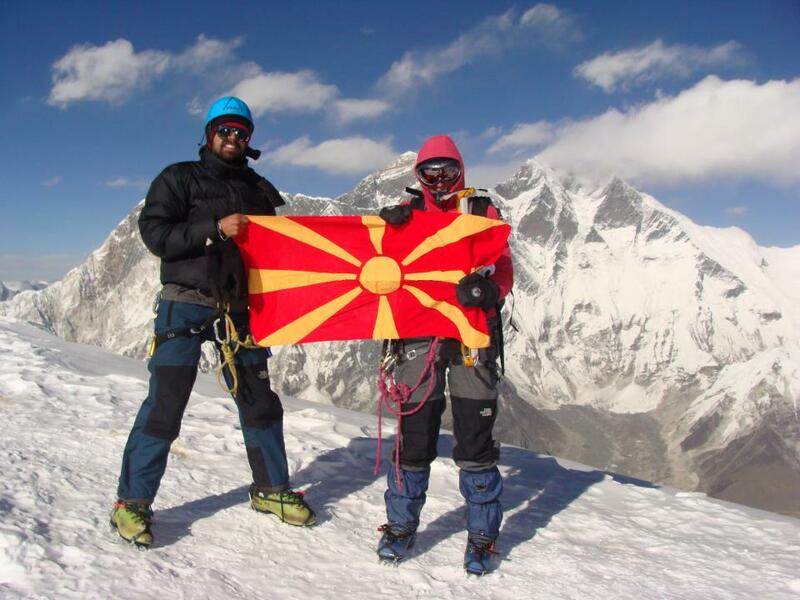 She was called the “Highest Macedonian” after climbing to the top of Aconcagua 6963 m, located in the Andes mountain range in Argentina – the highest peak on the Southern Hemisphere, and soon she will be climbing to the top of the world. Alpine climbers are often called modern age samurai? What do you think about this title? I’ve never heard it before but it sounds magical. It is definitely acceptable. Sadly, not many people are aware of the dedication and sacrifice that alpine climbing demands, consequently our successes and achievements are not realistically validated and appreciated. 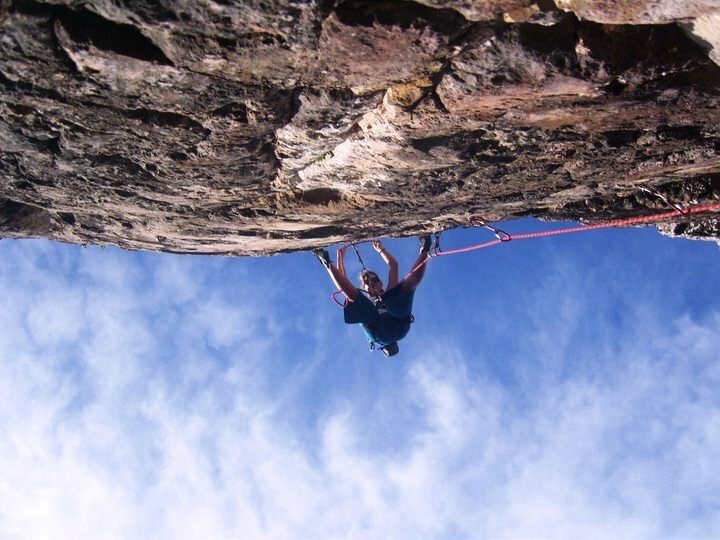 Alpine climbing is difficult to categorize because there is practically no competition. 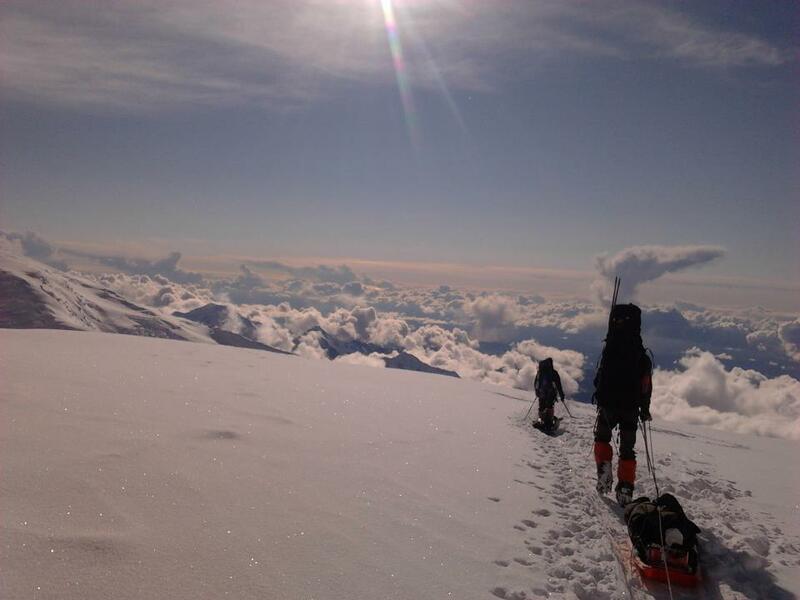 If the mountain and weather conditions allow us to go to the top it doesn’t mean that we have won, and if we don’t, it doesn’t mean we’ve lost. 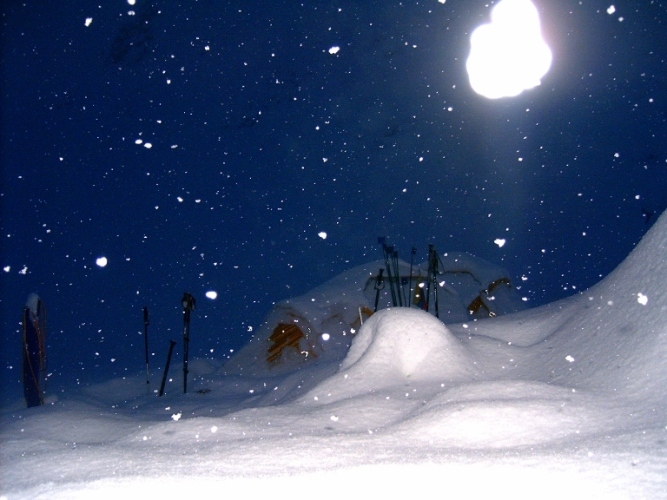 “Alpine art is the art of suffering” said Voytek Kurtyka, a Polish mountaineer. You deprive yourself of everyday comforts for months, fighting a long battle to conquer the mountain. What do you get in return? It is difficult to describe it in words. It is a huge personal satisfaction, and to me as an artist it represents an inspiration, composition, perspective with unusual coloring… Every time I see an extraordinary landscape I begin to understand artists throughout history who depicted nature in a surreal way. I see that anything is possible, the sky can be red, the snow is purple and clouds have all kinds of shapes as in Van Gogh’s paintings, as in old cartoons or hypermodern video games. 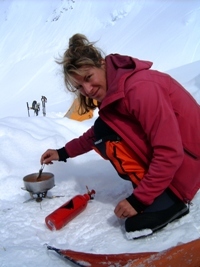 Every long-term experience in the mountains teaches us of survival and cohabitation with nature. We get to appreciate life more and the little things that make us happy. We distance ourselves from material pleasures just to confirm the fact that life is not only made up of television, the internet and social networks (especially if we use them unproductively). 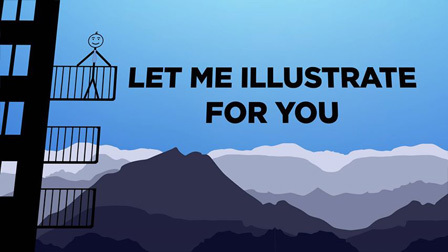 What is the feeling of being alone at such heights? Have you ever “talked” to some of the peaks? Very often, I sometimes believe that talking to the mountain is a kind of prayer. In those moments I express my love for the summit, the mountain, the surroundings. More often I am delighted by the beauty that surrounds us compared to the urban chaos in which many people prefer to live. You surely communicate with alpinists from other countries? Have you ever had any alpine experiences in Greece and Turkey? I and my expedition partner have visited Greece and Turkey many times so far. In Turkey we had an interesting adventure of a 40-hour train journey from Istanbul to a little town called Van, near the border with Iran, where we climbed volcanoes up to 4300 m high. Later, we visited some sport climbing places in south-eastern Turkey. We used public transport the whole time, which is typical for all our travels. I even worked in Turkey when I was 19, in 2002. 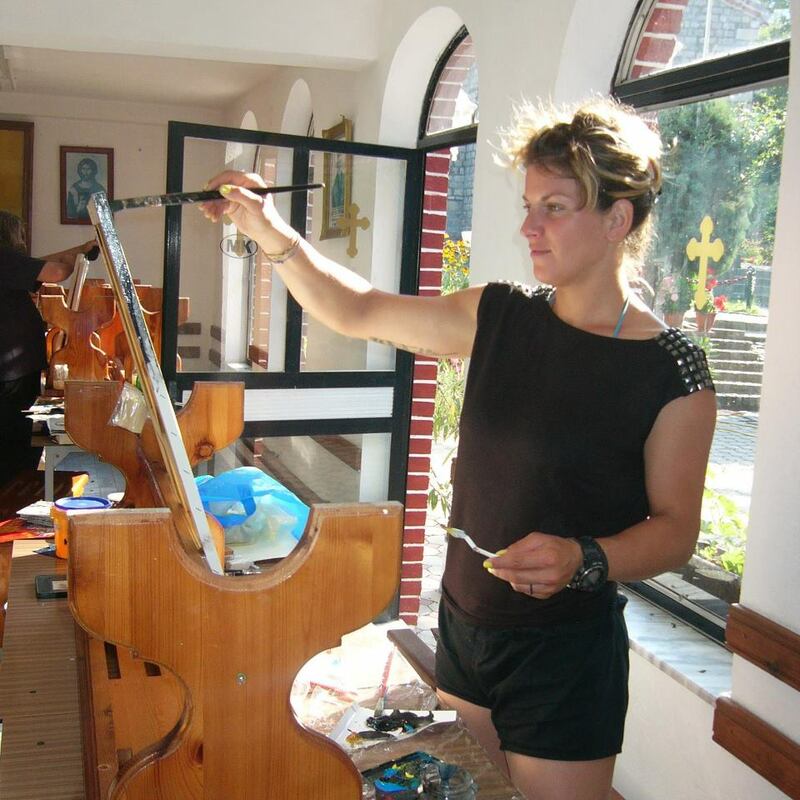 I worked as an artist in a hotel and as operative in a hang-gliding company in Oludeniz. 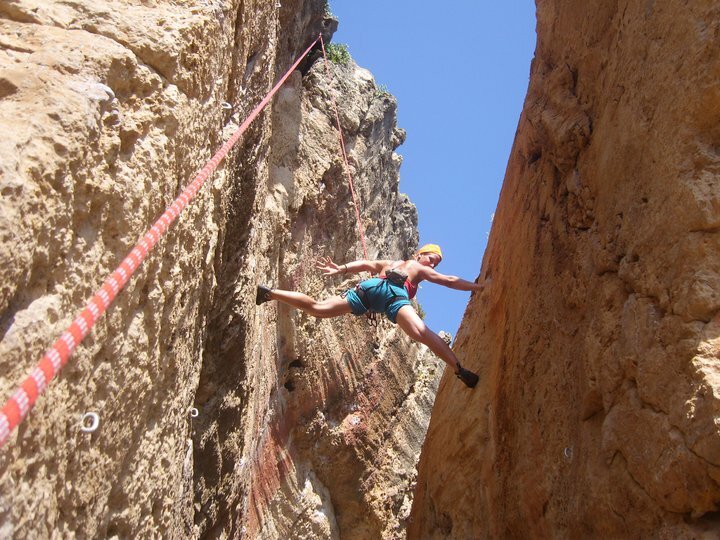 Greece has a great variety of places for rock climbing, and that can be excellent training for our next feats. We already visited some places near Kavala, but there are lots of other rocks and mountains in Greece that will be part of our future plans and activities. What is the most interesting moment in your career, a moment you will never forget? Can you share that moment with Balkon3 readers? Every experience has a memorable moment. 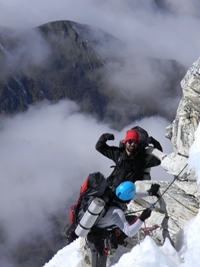 Unlike other mountaineers, alpine climbers and rock climbers, our feats are somewhat different in the way we realize them, in the organization and logistics. Actually, we don’t have any real organization or logistics because our biggest challenge is facing the unknown. We’ve always had more time than finances, so we take part in the activities as the locals do, not as tourists or commercial clients. We hardly ever use a guide (a guidebook or a tour guide) except in situations when circumstances called for it. In that way we can get to know the culture and tradition of every new place we visit no matter where it is, and our expeditions become complete, they get another dimension beside their main goal. Aside from climbing a rock, a mountain summit or range, I always try to express myself artistically in every place we visit. Also, we have often been voluntarily involved in organizing events, sports competitions, training and educational presentations. I can’t single out a most interesting moment. I’m trying to choose one, but all my experiences and events constantly come to mind. 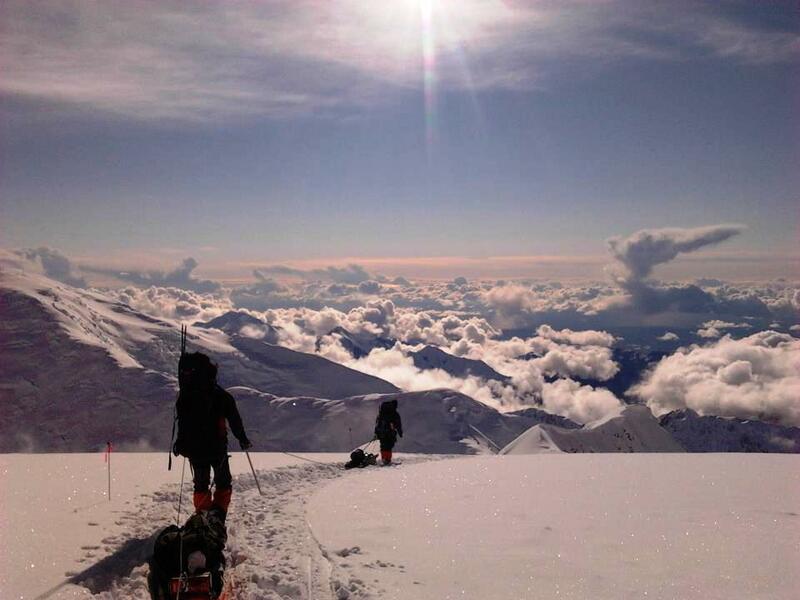 Let’s take this one for example: climbing Denali 6195m high, in Alaska, the highest peak in North America, which was a completely different experience. 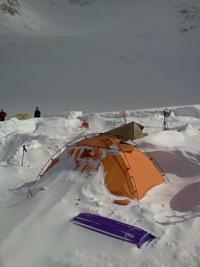 Every night our tents got covered with snow so we had to take turns and dig them out several times during the night. Otherwise we wouldn’t have been able to go out of the tent. At the height of 4300 m the temperature in the glacier was very low. 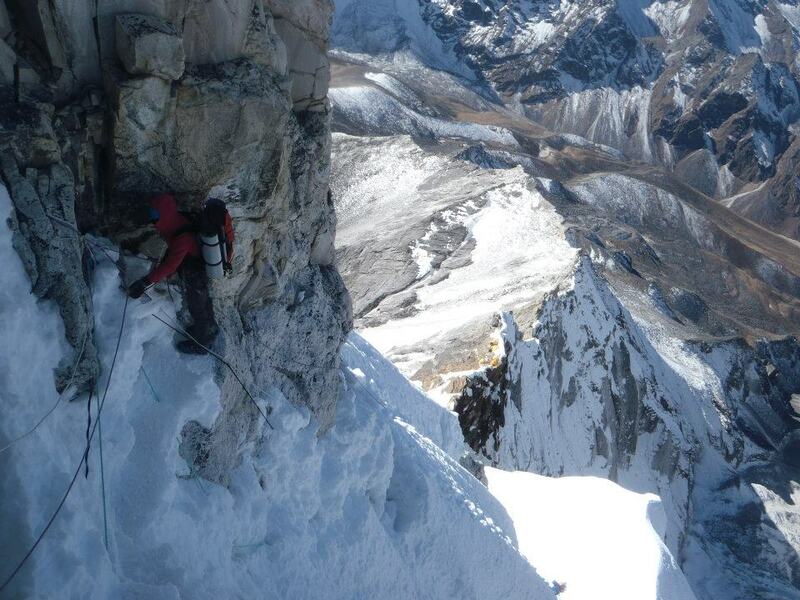 We spent 13 days there waiting for the weather conditions to improve so that we can continue climbing. 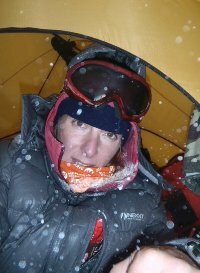 It was an interesting feeling to sleep covered in snow for days and days, with very limited living conditions regarding food and hygiene. You had an exhibition in Skopje not so long ago, on the International Day for Elimination of Violence against Women, and you’ve had exhibitions in other countries as well. 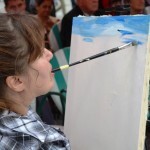 Could you tell us something more about yourself as an artist? I graduated from the Faculty of Fine Arts in Skopje in 2005. I had my first solo exhibition in 2006 entitled “Landscape without Censorship” in the Youth Cultural Centre Skopje. 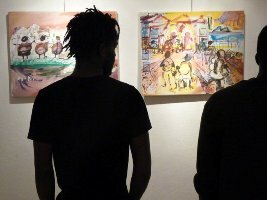 Since then, I have had ten other solo exhibitions in Macedonia and abroad, and I regularly take part in group exhibitions on a specific theme. I presented my project Retromenada at Multimedia Centre Mala Stanica. For the first time, Macedonian art lovers had a chance to see a collection of artworks created and exhibited on five continents. Aside from painting, I use and experiment with different techniques involving recycled materials. Fighting against pollution and over-consumption has been a frequent theme of my artworks in the past 7 years. Another theme that inspires me is the power of women and their various functions on the global scene. At the opening of the exhibition US ambassador Wohlers stated that you are an example of what a person can achieve with strong will and stamina? How do you gain such qualities in life? With repetitive attempts, persistence, willingness and love. I could say that I haven’t achieved half of what I wanted to, but I don’t mind, because we should always aim higher than we can reach. I am most grateful to Ambassador Wohlers for his support and the support of the American Embassy team who stimulated our tenacity, motivation and they are always here to remind us that we are not alone. You were chosen among the top 17 athletes in the Global Sport Mentoring Program by the US department of State that aims to unite emerging female sports leaders. What does it mean to you? Firstly, the nomination by US Embassy in Macedonia meant a lot to me, but to be honest I didn’t expect to be chosen, so I went on a 3-month stay in Africa where I worked on a project for tourism development. I was really surprised when I received a letter from the US Embassy with congratulations on my selection for the program by the US Department of State. I didn’t have to think twice, I booked a plane ticket, came back to Macedonia to get the documents I needed, and within a week I was in the USA. I was well aware that this is a prestigious program and it will mean a lot for my future development. My words can only express a small part of what we were granted during our stay in the US. 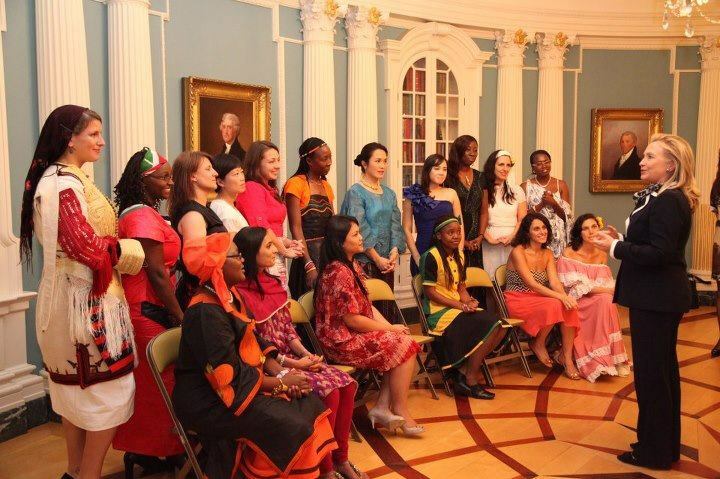 Apart from the thorough training program, educational and practical training, I gained many new friends and about twenty sisters from all over the world. 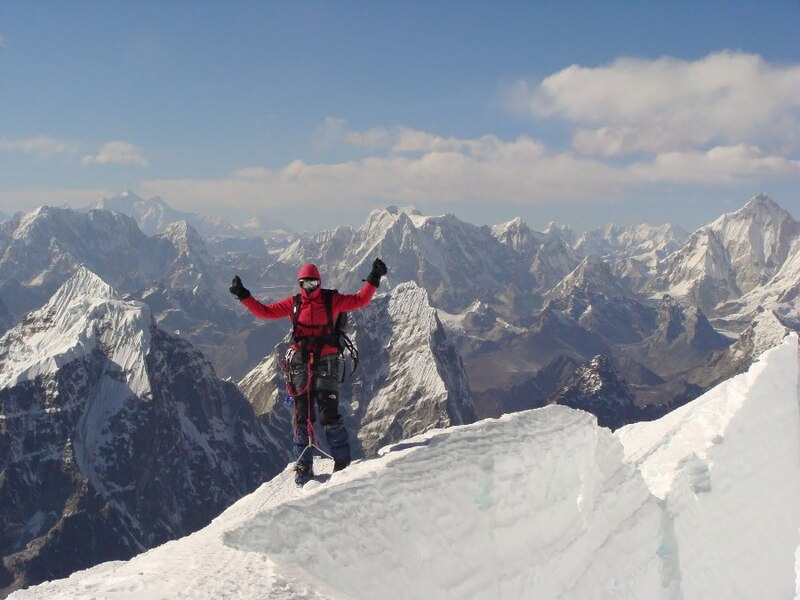 When do you plan to conquer the top of the world? Are you ready for that? I am starting my winter strategy for physical training and preparations. I am spending all my free time in the mountains and now we opened the season of backcountry skiing on Macedonian mountains which have many untouched places for skiing. 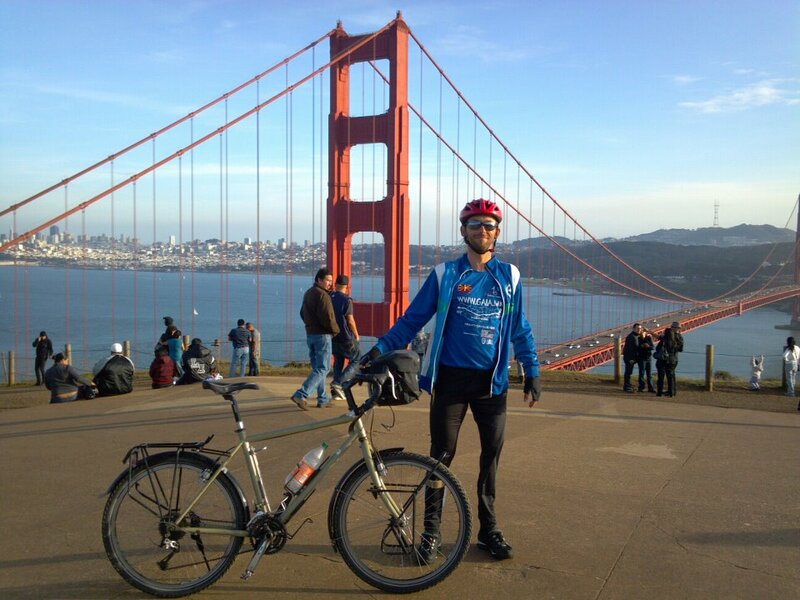 Still, regarding my lifestyle and constant activities in the last ten years I believe I am ready to climb Chomolungma. We announced this project two years ago but we were not able to provide the financial support in order to realize it sooner. 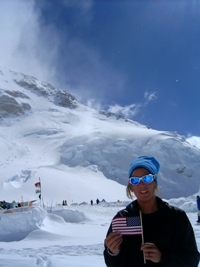 The expedition is setting off in March 2013 when our team arrives in Nepal.